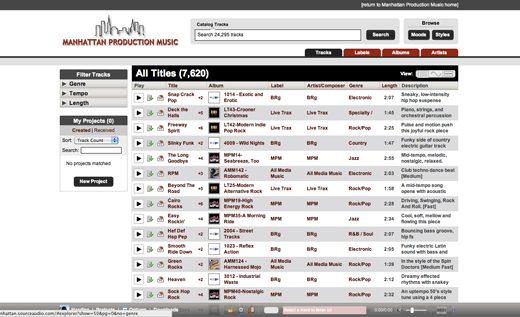 With almost 25,000 tracks, Manhattan Music launches the newest music licensing site on the SourceAudio platform. Their catalog consists of 7 labels and over 450 albums from 7,000+ artists. Dig into their music to see all they have to offer and listen out for their songs in a television show, movie, trailer or other major production coming to you soon.